Hey everyone and welcome to September! 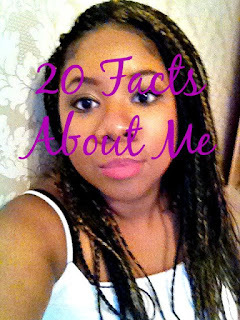 This is my 20th post on my blog so thank you all for reading the past 19 (see the last one here) and I thought I'd commemorate by giving you all a bit more info about me! These were a lot harder than expected to think of! Let me know a cool fact about yourself, I'd love to know about the wonderful people reading my blog.